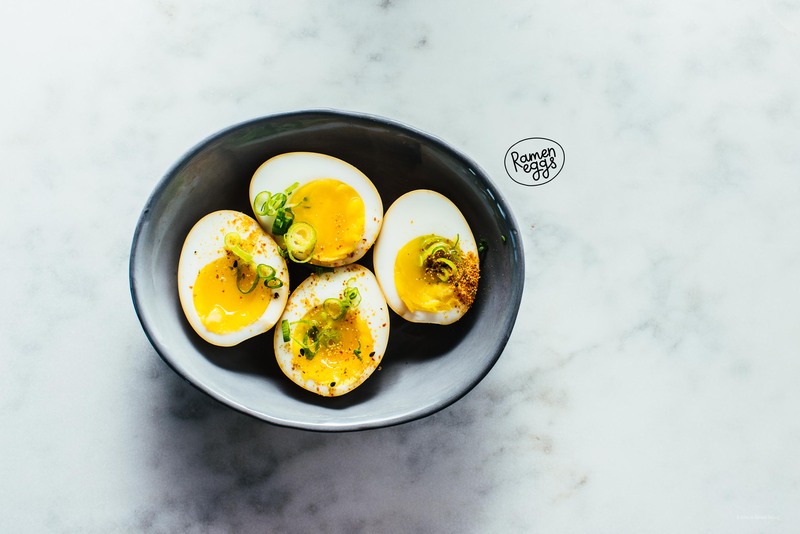 Creamy dreamy marinated Japanese soy sauce eggs, like the kind you find in ramen! We just got off of a sixteen hour ferry ride from Nova Scotia to Newfoundland. The ferry ride was surprisingly pleasant! We booked it last minute (we had a little mix up with dates) and ended up not getting a cabin but there were some comfy layback airplane-like seats so we spent most of our time there, interspersed with a dinner of bad (yet good) pizza and drinks at the lounge. There was a Newfoundland entertainer on board and both Mike and I were impressed at how long his set was. It was kind of fun because there were a bunch of young and old Newfies enthusiastically singing along to folk songs. After disembarkment, a short drive into town, and a quick shower, Mike and I headed out to explore. We visited the local pub and had some fish and chips and wandered around the downtown. I got a local chocolate bar and we peeked into the axe and beer club, where you can have a drink and throw axes at targets. We kind of sort of wanted to throw axes, but their minimum was an hour and we didn’t really think we could throw axes for an hour, so we skipped out. On the way back to our car (which has made it all the way to St. John’s!) we passed by a little ramen shop, which reminded me of these ramen eggs! We’ve had these photos for a while now but I just haven’t gotten around to posting this recipe. 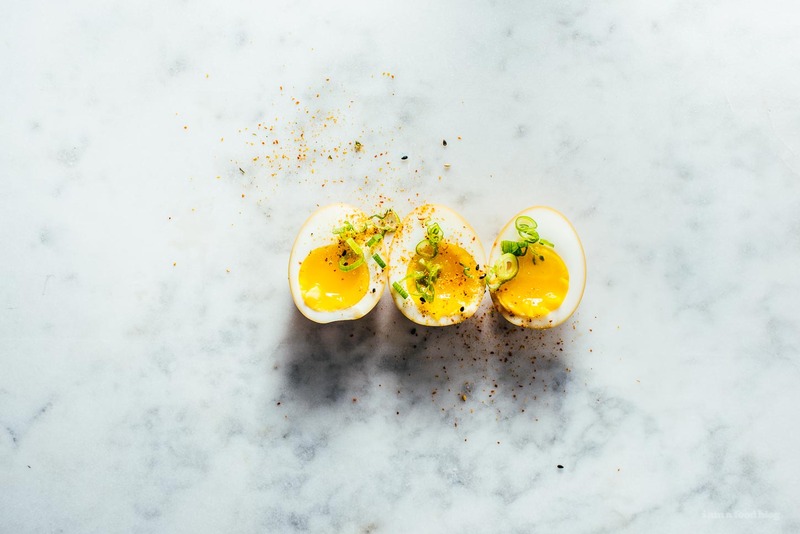 But now that I have, I hope you make these eggs, either for a quick snack, to up your instant ramen game, or maybe because you’re committing to a long ramen project. Hope you have an egg-filled week! PS – You can definitely use the marinade more than once, just make sure to keep it in the fridge after making it and while soaking your eggs. 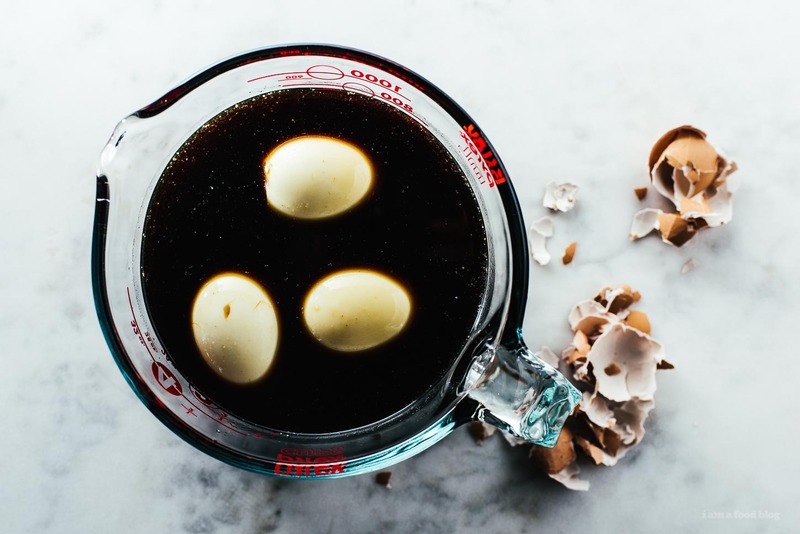 In a liquid measuring cup, whisk together the dashi, soy, mirin, sake, and sugar. Set aside. Cook your eggs to your preferred doneness. I like to boil a big pot of water until it hits a rolling boil, then I gently add eggs in, with a slotted spoon, straight from the fridge. 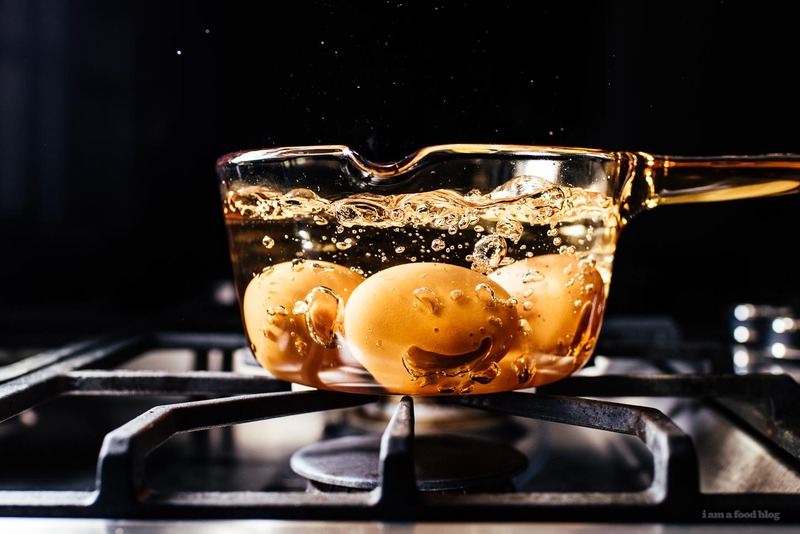 The water should naturally reduce to a simmer, dropping with the addition of cold eggs. Maintain a simmer for 7 minutes, adjusting the heat down, if needed. You don’t want an intense boil, just a happy little simmer. Remove the eggs from the hot water with the slotted spoon and immediately plunge into an ice bath to cool down. 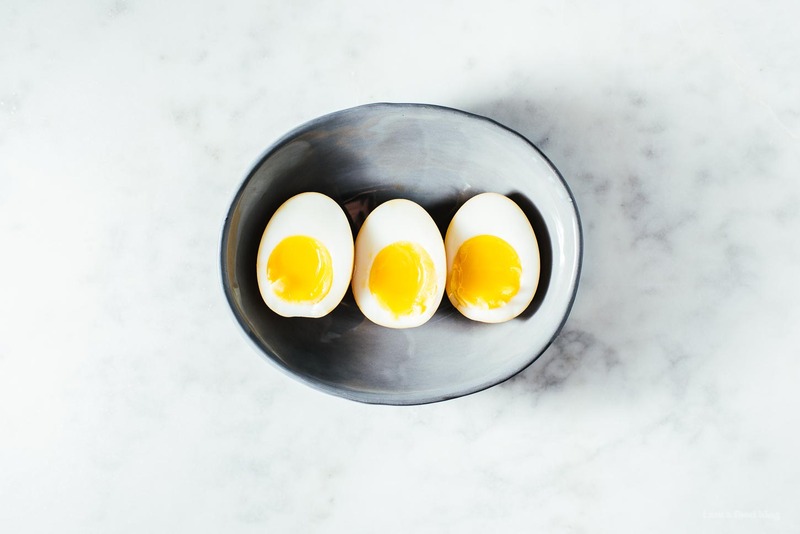 Peel the eggs: Gently tap the wide end of the egg on the countertop, then flip around and tap the pointed end. Gently roll the egg and peel, under running water, if it helps. Dry the eggs off and place in the dashi soy mixture for a minimum of 1 hour. Remove from the marinade, and enjoy, either in ramen, or on its own. no way! I’m a longtime reader from Corner Brook, Newfoundland so its great to hear that you’ve made your way through. if you find yourself here again, you have to stop in and visit our local sushi restaurant – Newfound Sushi. I know this is a high promise… but it’ll be some of the best sushi you’ve ever had. One of the top ten restaurants we have on the island, and it is seriously unreal. hope you enjoyed the rest of your trip! Ohhh I always wondered why my eggs were never as good as the ones at the ramen shops!! You’re GENIUS. Also, Steph, real talk: how do you get such gorgeous vibrant action-y shots (like the first one with all the bubbles)? Do you think it’s the camera you use/the lens/the aperature?? thanks erika :) combo of fast shutter speed and flash! ooh please let me know how your ramen turns out! yay! i hope you make some soon! Can I just buy a print of that first picture please? :) These look incredible! I feel weirdly memorized by the bubbles and the way you shot the first photo. Would you ever consider doing a post about how you shoot your food? ahh thank you! we have been meaning to but there’s always so much going on :) one day soon i hope! do it, do it, do it! *imagine that in a chant* but seriously, you know how some people get caught at work watching youtube, or reading reddit, or watching sports games? I get caught looking at your posts because of the photos. I promise to use that post to good use!! Love your blog! Can you tell me where you got the glass pot in the first picture? My mom had one just like it when I was growing up and it brings back fond memories. wow I dont know it is so easy, thanks for posting this, gonna try this right away! ahh! yes, i should do that soon! i have to shoot new pictures though! 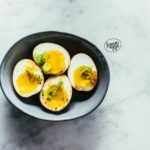 I’m a Newfie living in Malaysia and googled easiest ramen egg… what a pleasant surprise to find your blog! A great connection to home today! Thank you!